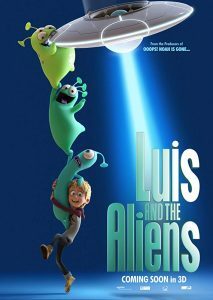 Plot: “Luis” tells the story of an 11-year-old boy who makes friends with three loveable little aliens, who crash their UFO into his house. In return for Luis’ help in finding the home-shopping channel stuff they came for, they save Luis from boarding school – and an exciting adventure follows. 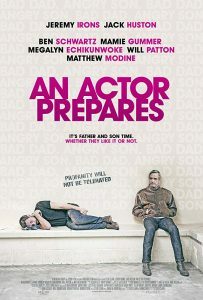 Plot: After suffering a heart attack, a world famous, hard-drinking actor is forced to drive cross country with his estranged son (who testified against him in his parents’ divorce) on one last madcap adventure. 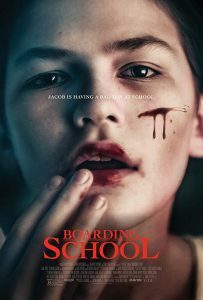 Plot: A young boy becomes fascinated with the persona of his dead grandmother and is sent to an isolated boarding school for misfits run by a mysterious headmaster and his wife. Plot: Fans flock to a festival celebrating the most iconic horror movies, only to discover that the charismatic showman behind the event has a diabolical agenda. 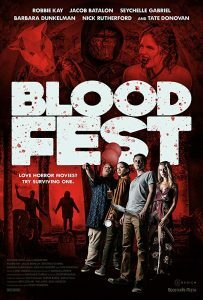 As festival attendees start dying off, three teenagers – more schooled in horror-film cliches than practical knowledge about neutralizing psycho killers – must band together and battle through various madmen and monstrosities to survive. 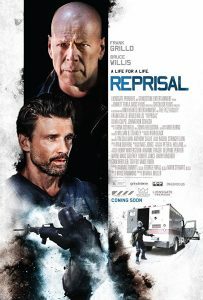 Plot: Jacob (Frank Grillo), a bank manager haunted by a violent heist that took the life of a coworker, teams up with his ex-cop neighbor, James (Bruce Willis), to bring down the assailant. 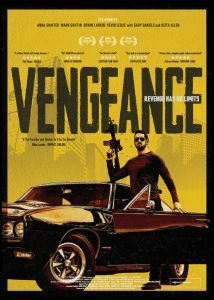 While the two men work together to figure out the thief’s next move, Gabriel (Johnathon Schaech), the highly-trained criminal, is one step ahead. When Gabriel kidnaps Jacob’s wife (Olivia Culpo) and daughter, Jacob barrels down a path of bloodshed that initiates an explosive counterattack and brings all three men to the breaking point. 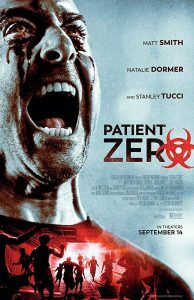 Plot: In the pandemic thriller, Patient Zero, humanity is battling intelligent, adrenaline-fueled creatures born from a viral super-strain. 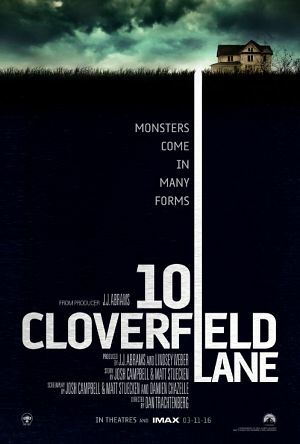 After being bitten, human survivor Morgan (Matt Smith) realizes he is asymptomatic and can communicate with the infected, leading the last survivors on a hunt for Patient Zero and a cure. 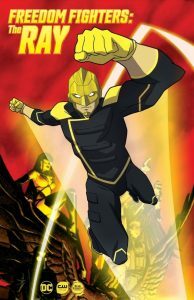 Plot: Taking place on the alternate Earth, Earth-X, a world where the Nazis won World War II, Ray and his friends Black Condor, Red Tornado, and a handful of others fight against Nazi-aligned versions of popular Arrowverse Heroes including Green Arrow, Flash, and Supergirl, for the freedom of the world. 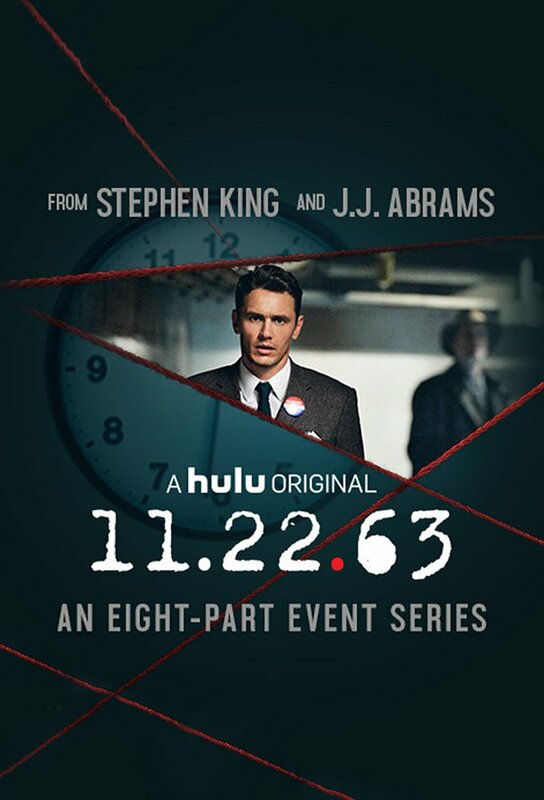 Plot: Owen Huntington’s life is one continuous loop of work, eat, and sleep. A loop that keeps him from ever seeing his wife Zoe, or his three year old daughter MacKenzie. A loop that is sure to kill him. Then, one day, Owen discovers a long lost Uncle passed away – and left his Circus to Owen. What could have been a blessing – soon unfolds into a curse. The circus is broke. The animals are all gone. And most of the crew are too old to be of any use. It’s a disaster. But something magical happens. Owen discovers Buffalo Bob’s secret. 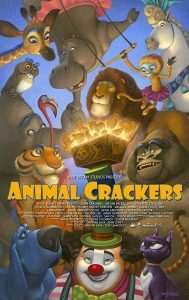 A box of Animal Crackers that gives the bearer the ability to become any animal in the box. Suddenly – there’s hope. 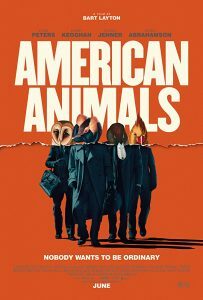 If Owen can use the box to become these animals and perform people will come. He’ll be rich. But Owen forgot one thing. Buffalo Bob had a brother. Horatio P. Huntington. Owner of the largest chain of circuses in the world. And Horatio would stop at nothing to get his hands on the Magical Animal Crackers. Plot: After draining his life savings to enter a team in the Rucker Classic street ball tournament in Harlem, Dax (Lil Rel Howery) is dealt a series of unfortunate setbacks, including losing his team to his longtime rival (Nick Kroll). Desperate to win the tournament and the cash prize, Dax stumbles upon the man, the myth, the legend UNCLE DREW (NBA All-Star Kyrie Irving) and convinces him to return to the court one more time. The two men embark on a road trip to round up Drew’s old basketball squad (Shaquille O’Neal, Chris Webber, Reggie Miller, Nate Robinson, and Lisa Leslie) and prove that a group of septuagenarians can still win the big one. After a successful five years as a fan-favorite digital episodic series, originally conceived by Pepsi, UNCLE DREW, will hit theaters June 29, 2018. 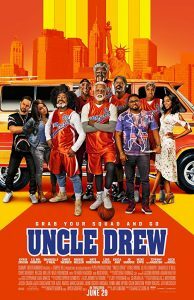 UNCLE DREW is a Summit Entertainment release produced by Temple Hill in association with PepsiCo’s Creators League Studios. Plot: Lisa is the last person you’d expect to find in a highway-side ‘sports bar with curves’, but as general manager at Double Whammies, she’s come to love the place and its customers. An incurable den mother, she nurtures and protects her girls fiercely, but over the course of one trying day, her optimism is battered from every direction. Double Whammies sells a big, weird American fantasy, but what happens when reality pokes a bunch of holes in it? Plot: Feature film inspired by the pranks performed by the comedy troupe The Janoskians. Plot: Seasoned inmate Continental takes New York prison newcomer Lee under his wing, hoping to persuade a female guard into helping their escape. 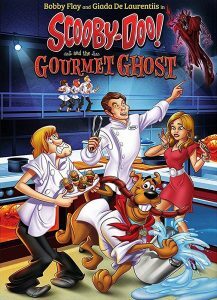 Plot: Your favorite teen sleuths go on an unforgettable adventure to New England, where they investigate the haunting of a historic colonial inn that’s been turned into a state-of-the-art, culinary resort. 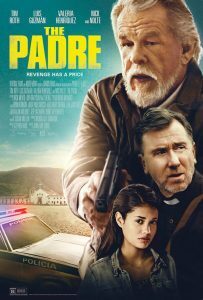 Plot: It tells the story of the Padre (Roth), a small-time con man on the run from his dogged pursuers, U.S. Court Justice Nemes (Nolte) and local police officer Gaspar (Guzmán). 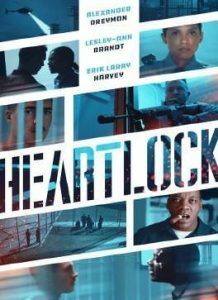 When the Padre is caught mid-con, he flees the scene in a stolen car, unaware that a precocious 16-year-old girl, Lena (Henriquez), is stowing away in the back seat. After she blackmails him into letting her join his journey, the duo plan their biggest heist yet – not always aware of the dangers of working with each other and the law closing in on them. 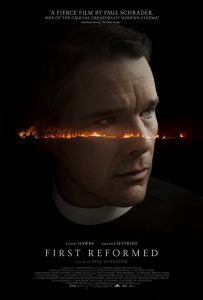 Plot: When Priest, a young but experienced coke dealer in Atlanta, realizes it’s time to get out of the trade, he risks it all on one last score. 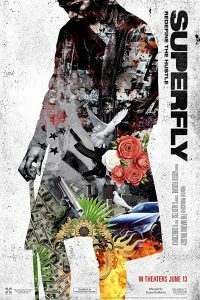 Double-crossing his mentor, Priest heads to Mexico to connect with the cartel that serves as the source of his product. Plot: When Gem (Erica Hubbard) decided to invite her long-lost friend to be the Maid of Honor in her wedding, Allen (Brad James), her fiancé, had no clue he’d be meeting Kiya (Altovise Lawrence), a wildly outspoken lesbian novelist. Though an aspiring writer himself, Allen finds not a friend in his new house-guest, but a rival for Gem’s attention. 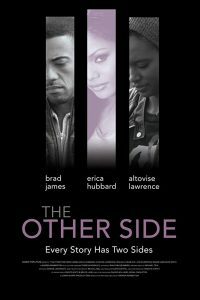 Eventually, the soon-to-be husband discovers there’s a lot more to the story than his fiancée explained. 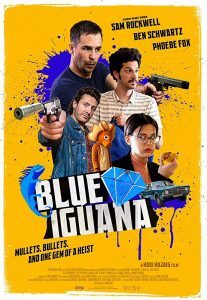 Plot: This anarchic thriller presents a crazy, off-kilter London of action, comedy and true love. 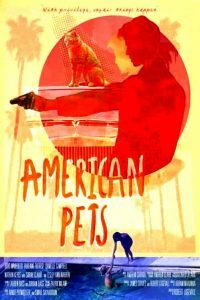 Eddie, Paul and Katharine are cool, carefree characters in a world of absolute freedoms: freedom to steal, freedom to fire a gun, freedom to kill, and freedom to fall in love. And freedom never to be hurt–at least not seriously. Only the bad guys die. Sam Rockwell and Ben Schwartz play two London-bound buddies whose outrageous antics never have serious consequences. They always wriggle out of danger, with a wisecrack, a weapon and a smile. Eddie and Paul are two innocents abroad, except they’re not innocent at all. They’re low-level wise guys who never really have a grip on anything. The controlling intelligence in the story is Phoebe Fox’s insecure lawyer, Katherine. She’s always one step ahead of the game – but is she ready to fall in love? Plot: When an aspiring rapper goes viral for all the wrong reasons, he thinks his career is over. 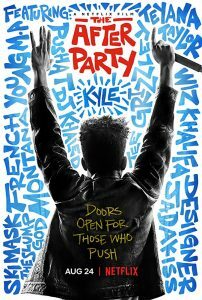 But when his best friend gets them into a wild NYC after party, he gets one more chance to make the impossible happen. Plot: When ex-soldier turned mercenary, John Gold, learns of the murder of his best friend, he sets off on a mission to find out what happened. What he discovers is a sinister conspiracy and he sets about taking down those responsible one by one. 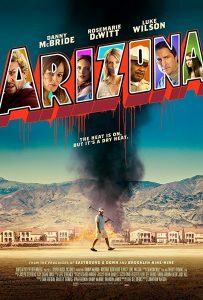 Plot: Set in the midst of the 2009 housing crisis, this darkly comedic story follows Cassie Fowler, a single mom and struggling realtor whose life goes off the rails when she witnesses a murder. 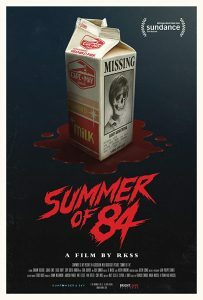 Plot: After suspecting that their police officer neighbor is a serial killer, a group of teenage friends spend their summer spying on him and gathering evidence, but as they get closer to discovering the truth, things get dangerous. Plot: After the death of her father when she was a child, Kit Gordy has grown up as a troubled teen for disgust of her mother Ginny and her stepfather Dave Dabrowski. 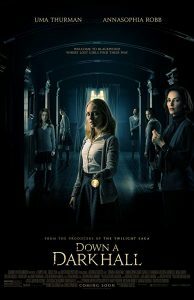 Called to the principal’s office of her high school and accused of a failed attempt to burn it, Kit is expelled from the high school, but Dr. Heather Sinclair, member of the staff of the Blackwood Boarding School, appears to offer her a place in the next school year. 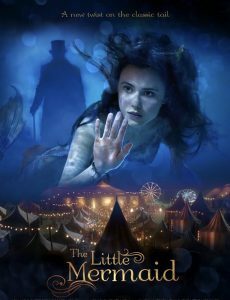 Ginny enlists Kit against her will in a try to correct her daughter, and Kit travels Blackwood, an old, isolated and dark mansion in the middle of a forest outside the city. There she meets her companions: nice Izzy, shy Ashley, reluctant Sierra and borderline Veronica, so troubled teens as her own. In the dinner presentation, Kit and the other girls meet Madame Duret, Blackwood’s headmistress, and the rest of the staff: Pr. Farley (maths), Jules Duret (music), Heather Sinclair (arts) and Mrs. Olonsky, Madame Duret’s rude right-hand to keep the peace in Blackwood…. 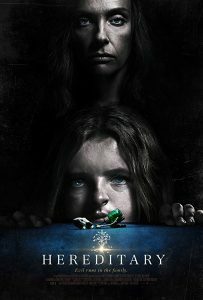 Plot: When the matriarch of the Graham family passes away, her daughter’s family begins to unravel cryptic and increasingly terrifying secrets about their ancestry. 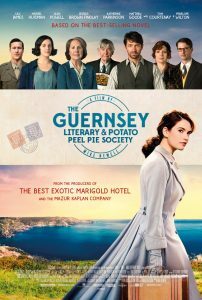 Plot: A correspondence begins between Juliet Ashton and members of The Guernsey Literary and Potato Peel Pie Society, with them sharing their experiences of Nazi Occupied Guernsey. 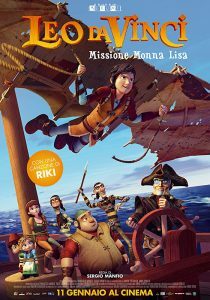 When an idea for a book catches Juliet she goes to visit the island, making lifelong friends and taking life changing steps along the way. This book is told by way of letters and as the reader, you become enchanted by the writers of them and the love Juliet comes to feel for each of the Islanders; Dawsey, Amelia, Isola, Eben, Kit and Elizabeth. A beautiful story of love, friendship and the sadness of friends lost. Plot: Starring Shailene Woodley and Sam Claflin, Adrift is based on the inspiring true story of two free spirits whose chance encounter leads them first to love, and then to the adventure of a lifetime. As the two avid sailors set out on a journey across the ocean, Tami Oldham (Woodley) and Richard Sharp (Claflin) couldn’t anticipate they would be sailing directly into one of the most catastrophic hurricanes in recorded history. In the aftermath of the storm, Tami awakens to find Richard badly injured and their boat in ruins. With no hope for rescue, Tami must find the strength and determination to save herself and the only man she has ever loved. 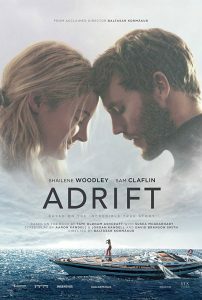 Adrift is the unforgettable story about the resilience of the human spirit and the transcendent power of love. Plot: Four young men mistake their lives for a movie and attempt one of the most audacious heists in U.S. history.